Want to enjoy a delicious and nutritious cup of smoothie without having to leave your home? You can do this right in your kitchen using a smoothie maker. But then, you don’t want a smoothie maker that will turn out to be a disappointment after a few days of use, do you? Probably not. 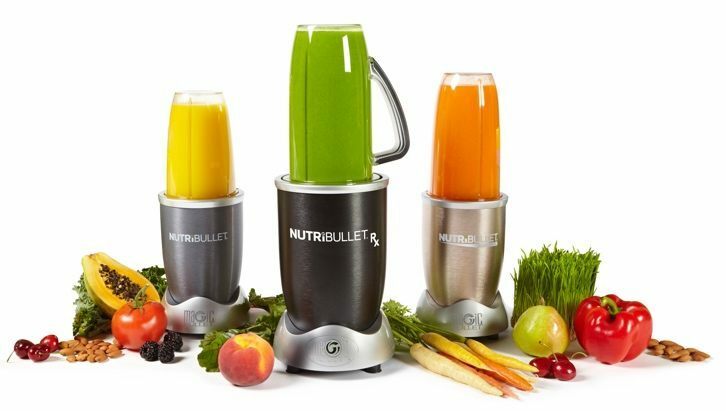 And that’s why I’ve prepared this article that outlines and reviews the best smoothie makers that will save you a great deal of time and money. "Among Smoothie Maker,Ninja Professional Blender (BL660),because a great choice for those looking for a powerful, extra-large blender that can be used for food processing." 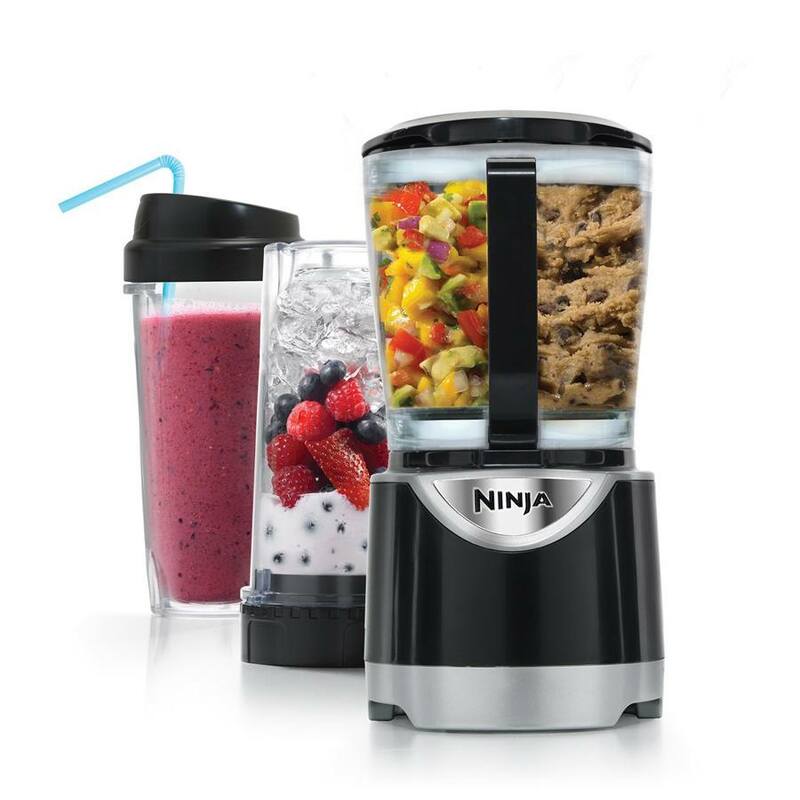 "Among S﻿﻿moothie M﻿﻿aker,Ninja Kitchen Blender System Pulse (BL201) this blender comes in a compact design yet delivers a greater power to size ratio. The compact construction makes the blender much easier to handle and ensures that it takes less space on your kitchen counter." Our experience in the field is something that should earn us your trust. I myself have 3 years of experience researching and reviewing the best smoothie makers on the market. On my team are 2 professional chefs who have over 5 years of experience preparing smoothies. We work together to put each product under manual testing then draw a comparison that helps us determine the best. We often get customers asking us the difference between a juicer and smoothie maker. These are completely different machines both in function and design. Let’s look at the difference between them. This is an appliance that uses whole fruits and vegetables to make drinks. The resulting drink, a smoothie, is much thicker compared to juice. It’s a more fun product that finds great application in parties and other gatherings. This appliance is used to simply extract juices from fruits. The resulting dink is clearer and often much thinner compared to a smoothie. A smoothie maker has multiple benefits that have made it one of the most popular appliances in the kitchen. The benefits of a smoothie blender can be categorized into two; functional benefits and health benefits. Let’s look at each one of them. * It’s a versatile appliance that gives you many different combinations to experiment with. You can even use it to make alcoholic drinks and cocktails in parties. * Smoothie makers are one of the easiest kitchen appliances to use. Most of them only need you to add the ingredients, place on the lid and press the power switch. * This appliance gives you full control over your ingredients. Such convenience helps you know exactly what you’re drinking. * A smoothie maker is quick. You only have to wait for a few minutes to enjoy a cup of delicious smoothies. Most do it in less than 10 minutes. * Smoothies have been proven to boost the immune system. Smoothies fight diseases, such as heart diseases and cancer. They also help prevent diabetes. 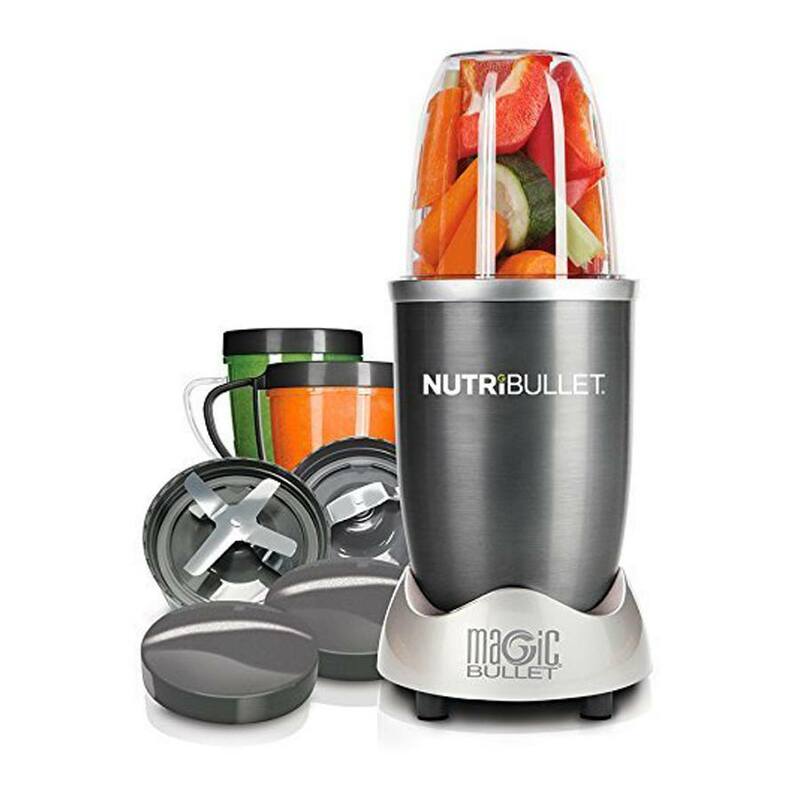 NutriBullet is a name that ranks high in the world of smoothie makers. Among the brand’s greatest inventions is Magic Bullet 12-Piece High-Speed Blender/Mixer System. This is a blender that sports a perfect balance of safety, portability and ease-of-use. It provides one of the best ways of extracting the most nutrients from different foods; vegetables, fruits, protein shakes and superfoods. * Poly carbonate Construction: This high-speed blender is made of tough yet lightweight polycarbonate material. It maximizes durability and improves the scratch resistant qualities of the blender making it last for longer. * 24-Ounce Capacity: This blender sports a personalized pitcher that has a 24-ounce capacity. Such a small capacity makes it an ideal choice for serving the needs of one single person. This blender is ideal for those looking for a portable yet powerful blender that breaks down food to its most absorbable state. It’s a personalized blender best recommended for use by a single individual. Comes with healthy recipes to get you started. Blend only appropriate foods and ensure to cut large pieces of food into manageable sizes. Blend a little at a time and ensure to clean the blender on a regular basis in a dishwasher. The blender has leakages at the base. This is remedied by proper re-screwing or not filling the pitcher above the maximum fill line. The manufacturer provides free repair services and replacement in case the product sports defects under normal use or during shipment. The blender is backed by a 1-year limited warranty that’s effective upon purchasing the product. SharkNinja is a popular household brand, especially for families that have a love for nutrient-rich smoothies. 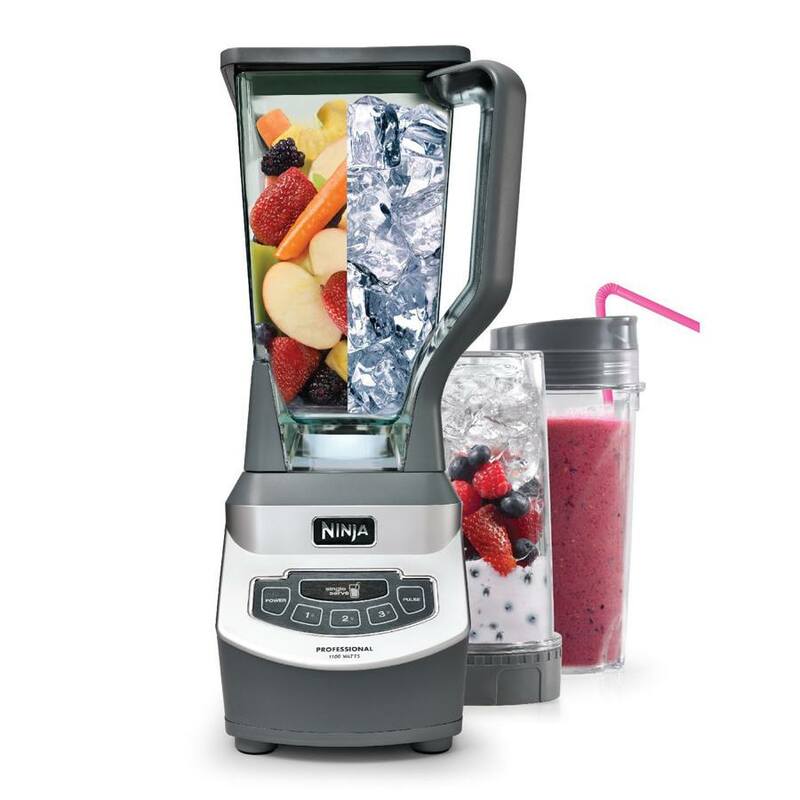 Nutri Ninja Pro (BL456) is one of its top smoothie makers. This blender is specially engineered to maximize the extraction of nutrients and vitamins hidden in whole vegetables, fruits and seeds. * BPA-free Plastic Construction: This blender sports a tough plastic construction that is quite resilient to scratches. The plastic makes a healthy choice since it doesn’t compromise the natural flavor and taste of your smoothies. * Pro Extractor Blades: The blender sports 4 pro extractor blades. The blades are made of stainless steel to provide great resistance against rust. They pack enough crushing power to break down ice and other frozen ingredients. * 75 Recipe Inspiration Guide: Nutri Ninja Pro (BL456) comes with a guide that lets you create endless recipes ranging from nutrient rich drinks, soups to frozen treats, among others. This makes it a more versatile option over the traditional blenders. * 24-Ounce & 18-Ounce Capacity: This blender provides you with two cup capacities of 24-ounce and 18-ounce. The serving size makes it an ideal choice for single serve use. The cups are lidded to help you enjoy smoothies while on the go. This blender is a good choice for those looking for a single-serve blender that has a multi-tasking ability. The covers on the lids leak. The blender shouldn’t be overfilled. Therefore ensure that you put small quantities at a time. Cleaning should be done on a regular basis and its advisable that the parts be cleaned in a dishwasher. Overfilling the jar causes leaks at the base. The lids that come with the cups are not leak proof. The manufacturer provides free repair and replacement within the period of the warranty. BL660 is a professional grade blender designed for maximum performance and power. This blender comes at a higher price tag but provides the quality and performance you would expect in a high-end smoothie blender. It’s a single serve blender that packs a powerful punch ideal for controlled processing. * Plastic Construction: The mention of a plastic construction paints the picture of a fragile design that is prone to scratches and less resistant to impact. however, that plastic material used in this blender is quite the opposite. It’s a tough ABS plastic known for its long-lasting performance and good resistant against scratches and stains. * 1100-Watt Motor: This blender is fitted with a powerful pulse motor that let’s it double as a food processor. At 1100 watts, the motor makes the blender an ideal choice for green smoothies. The motor drives the 6-stack stainless steel blades that crush ice, whole fruits and vegetables with ease. This blender lets you customize the speed of the motor to 3 different settings; Low (Mixing), Medium (Blending), and High (Crushing). * 72-Ounce Capacity: The large pitcher sported by this blender makes it ideal for meal-replacement green smoothies. The 72-ounce pitcher can comfortably serve a small family of about four and is an ideal choice for parties. * Touch Operation: This blender provides the convenience of a touch operation that provides easy access to power, speed setting, single serve and pulse. This is achieved with a simple touch of a button. Ninja Professional Blender (BL660) is a great choice for those looking for a powerful, extra-large blender that can be used for food processing. Quite difficult blending small quantities. The blender needs regular cleaning. This can be done by disassembling the parts and putting them in a dishwasher for hassle-free cleaning. The multiple stacks of blades make the blender more difficult to clean. The manufacturer provides excellent customer support with free repair and replacement within the period of the warranty. The blender comes with a 1-year warranty to cater for defects and poor craftsmanship. Many are aware of the high reputation held by Cuisinart when it comes to kitchen appliances. The brand is known for manufacturing portable, compact and affordable kitchen appliances, such as Cuisinart CPB-300. This is a portable system specially designed for blending and chopping tasks. * Portable and Compact: This blender redefines portable and compact construction in the world of smoothie makers. It’s super compact and ultra-portable to suit those that are constantly on the go. The blender provides the convenience of a one-hand operation that reduces user fatigue to a great deal. Its small footprint means that it only takes a small space on your kitchen countertop. * Electronic Touchpad Controls: The simple operation sported in this blender makes it much easier to use, even by beginners. It provides the convenience of user-friendly touchpad controls that provide access to 3 different settings; High, Pulse and Low. The settings enable you to select between 2 different speeds. Each function has an LED indicator light for easy reading in the dark. * 32-Ounce Capacity: This blender has a 4-cup capacity that is enough to serve two persons. The blender cup has calibrated markings for precise measurement to ensure that you don’t fill it past the recommended level. This product is suitable for those in need of a compact and ultra-portable blender that performs the functions of blending and grinding. LED lights for easy reading in the dark. Travel cups aren’t spill proof. The parts should be disassembled and cleaned in a dishwasher with the exception of the motor base that is wiped clean with a damp cloth. The covers fitted on the travel cups are not designed to be spill proof. Cuisinart provides free repair excellent customer support on the purchase of this blender. This blender comes with a 3-year limited warranty. In case you’re planning on getting a smoothie maker that can meet your food processing needs, BL201 might just be what you’re looking for. This is a compact powerhouse specially engineered to knead dough, make nutritious drinks and chop ice with ease. It holds true to the good name of Ninja products and has become a favorite in many households. * Compact Powerhouse: This blender comes in a compact design yet delivers a greater power to size ratio. The compact construction makes the blender much easier to handle and ensures that it takes less space on your kitchen counter. * 40-Ounce Capacity: This blender sports a 40-ounce bowl that’s ideal for food processing. The size can cater for different tasks including mixing and kneading. The blender has enough capacity to serve a couple. * Box Contents: 40-Ounce Processing Bowl, Dough Blade, Grating Disc Attachment, Cookie Dough Paddle, Slicer/Shredder Attachment, Owner’s manual, and Two 16-Ounce Cups. This product is a great purchase for those looking for a 2-in-1 blender that doubles as a food processor. It’s ideal for those in search of a quality and versatile single serve blender that comes at a reasonable price. Doubles as a food processor. Silky-smooth consistency and even blending. Sleek and compact space-saving design. Reasonable price for a food processor/blender. The blender is quite noisy. This blender shouldn’t be overloaded past the recommended capacity. Washing should be done on a regular basis in a dishwasher. This includes all parts with the exception of the motor base that only needs to be wiped clean. This blender requires you to constantly press down on the container in order to operate the power base. Therefore it requires that you stand by until the process is complete. The manufacturer provides after sales support that includes repair and replacement of defective products. This product comes with a 1-year limited warranty. Getting the best smoothie maker can be a great challenge due to the large number of models on the market. Therefore you need to be wise in your selection process in order to avoid any regrets. But then, how do you go about choosing the best smoothie maker from the hundreds of models available? This buying guideline provides an easy way out. I’m going to outline the different consideration factors that will help you get good value for your money. Your need will help determine that type of blender that will work best for you. In case you’re planning on using it for high-intensive blending tasks, then the high-performance blenders will be the ideal purchase. For those looking for something less expensive that can accommodate low- intensity blending tasks, a conventional blender will make a good purchase. Those that are constantly on the move will do well with a personal blender. Smoothie makers come in many different capacities. In case you’re planning on using it alone, then a 24-ounce capacity might work well for you. However, if you need it for a whole family or for parties, an extra-large blender of at least 64-ounce will work fine. The type of material used to construct the blender matters a lot. Normally, blenders come in two different materials; plastic and glass. Glass is known to be heavier and more prone to breaking when dropped. Plastic provides the convenience of a lightweight design but is prone to staining. Therefore weigh your options and choose the material that’s best for you. You don’t want to compromise your kitchen space by purchasing a smoothie maker that doesn’t fit. To avoid this, consider the clearance height of your countertop to know the exact size of blender that will fit in perfectly. Also go for a space-saving footprint that won’t take much of your countertop space. Consider your budget limit in order to know the type of blender that will match your needs. High-performance blenders have a price that range from $300 to $700. Conventional blenders are priced from $50 to $150. Personal blenders have a price range of $20 to $100 while immersion blenders range from $30 to $100. Therefore consider the type of smoothie maker that falls within your budget limit and choose the best in the category. There are many brands of smoothie makers. But it’s advisable that you go for the best performers in the industry. Some brands worth considering include Black & Decker, Ninja, Cuisinart, Hamilton Beach, Oyster, among others. 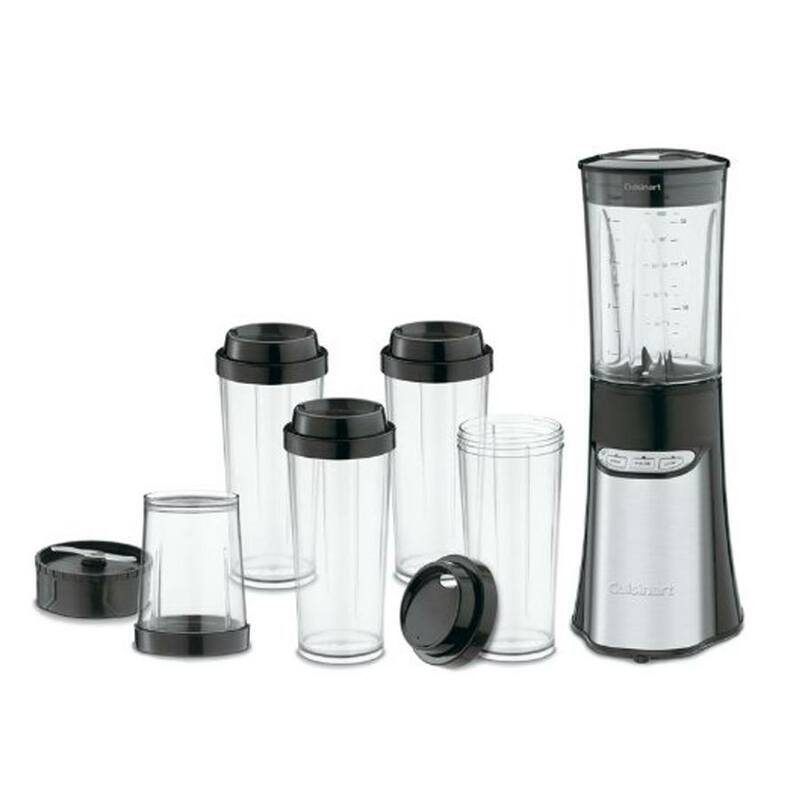 Choose a smoothie blender that comes with a warranty. Most often, superior quality products sport a longer warranty. Therefore check the product manual to see whether it comes with a warranty. If it doesn’t have a warranty, then stay clear of it. 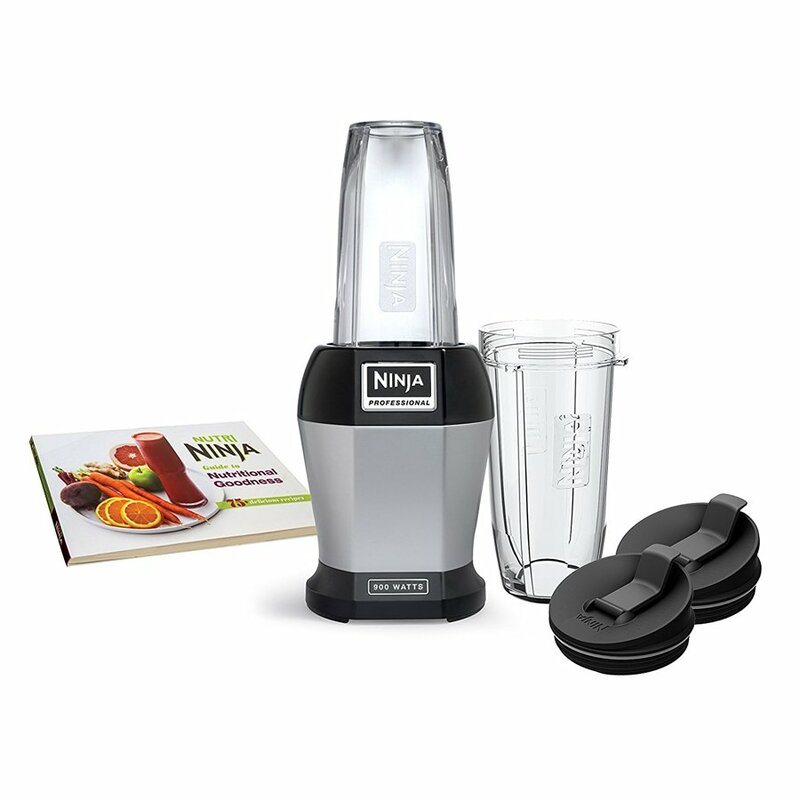 I choose Ninja Professional Blender (BL660) as the best smoothie maker. From the above smoothie maker reviews, one can see that it’s a blender that packs the most power designed for fast and efficient blending. Besides blending, it performs the function of a food processor, which makes it a more versatile choice. Even though BL201 has the same capabilities, BL660 surpasses it in terms of built quality and flexible serving options. Despite the fact that it costs more compared to the other blenders on the list, the performance, flexibility and power of this blender is worth every penny spent. There are lots of questions asked about smoothie makers. This is in regard to their quality, power, performance and overall functionality. Below, we look at some of the most popular questions and the answers given to them. Q: Are there any guidelines on what should be put in a smoothie maker? Ans: Yes, all instructions are included in the manual. However, be advised to soak any dry fruits for a few hours prior to blending. Q: What is a pulse function? Ans: This is a button that functions to provide short bursts of power at maximum speed. Q: Does a smoothie maker have speed settings? Ans: Not all blenders provide the convenience of different speed settings. Q: Can the consistency of a smoothie be changed? A: Yes, you can change it by adding more liquid. But ensure to use the markings for best results. Q: How do I prevent my smoothie maker from leaking? A: Ensure you re-screw it tightly and avoid filling past the maximum line. Q: What’s the best way to clean the motor? A: Wipe clean with a damp cloth and let it dry. Q: What’s the best smoothie maker for persons on the go? Q: How long can a smoothie last? A: A smoothie doesn’t last for long and it’s recommended that you drink it within the same day. Q: Do I have to follow the recipes exactly? A: The recipes are only meant for inspiration and therefore you’re free to switch them. Q: What’s the best place to buy a smoothie blender? Michael Jobs is a university graduate and a passionate writer who has 3 years of experience in writing reviews on kitchen appliances. 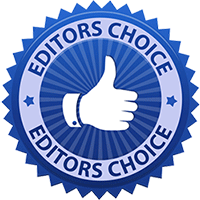 Best smoothie blender reviews are one of his main areas of specialty.